Seichem (pronounced say-keem) works in the same way as Reiki, with hands placed on the body, but in addition hands may be working in the aura which surrounds the body. It is reputedly one of the healing arts practiced in ancient Egypt. Reiki is one of the four elemental rays which make up Seichem – earth (Reiki), water, air and fire. Reiki is a Japanese technique for stress reduction and relaxation that also promotes healing. 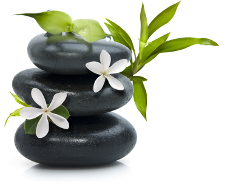 A treatment feels like a wonderful glowing radiance that flows through and around you. Reiki treats the whole person including body, emotions, mind and spirit creating many beneficial effects that include relaxation and feelings of peace, security and wellbeing. Many have reported miraculous results. Reiki is a simple, natural and safe method of spiritual healing and self-improvement that everyone can use. Dry cupping is a method by which suction is created on particular points on the patient’s body. The cup creates a vacuum that tugs the skin upwards. Dry cupping has an effect of redness of the skin and some amount of swelling when the blood and fluids accumulate under the skin. This therapy does not cause any pain and at the most the patient might experience a pinching sensation followed by a relaxed feeling. At times, blisters might form and the healer will tell you that this is an indication that the treatment has been effective in targeting the ailing section of the body. For silky smooth skin, combining body brushing, Dermalogica® mineral salt scrub and Dermalogica® hydrating body cream. Bespoke Dermalogica® products are selected for each client to provide the best outcome, leaving your skin, cleansed, exfoliated and hydrated. Starting with your massage, tailored to your requirements, followed by a back cleanse using bespoke Dermalogica® products, selected for each client to provide the best outcome, leaving your skin, cleansed, exfoliated, hydrated and vibrantly healthy. A luxurious treatment, combining the soothing effects of a hot stone massage with the tailored results of a Dermalogica® MicroZone® skin treatment. Commencing with a back massage, bespoke to your needs, followed with the tailored results of a Dermalogica® MicroZone® skin treatment, culminating with a pressure point scalp massage. The ultimate Dermalogica® full body indulgence. This treatment begins with a Dermalogica® mineral salt scrub exfoliation, followed by a nourishing body mask to banish dry skin. A deeply relaxing facial massage is performed while the body mask is left on to work its magic. The treatment culminates with a targeted hot stone massage. Are you on your feet all day? Do your legs ache? This nourishing foot treatment will give your feet the attention they deserve. Foot scrub, hot oil or masque, heated boots, foot and leg massage, finishing off with Dermalogica® hydrating cream. A targeted care for hard working hands. Includes hand exfoliation, hot oil or masque, heated gloves, massage, finishing off with Dermalogica® hydrating cream. File and polish for the hands and feet, full body exfoliation finishing off with a SunJunkieTM spray tan. SunjunkieTM is a revolutionary spray tanning system. You will achieve a perfect, glowing tan in just 15 minutes! Prefer a deeper shade or just a natural looking glow, no problem! Caflon ear studs are made from hypoallergenic material meaning they do not cause allergies or irritations. The recognised brand for ear piercing. Includes a choice of studs and 2 aftercare solutions.